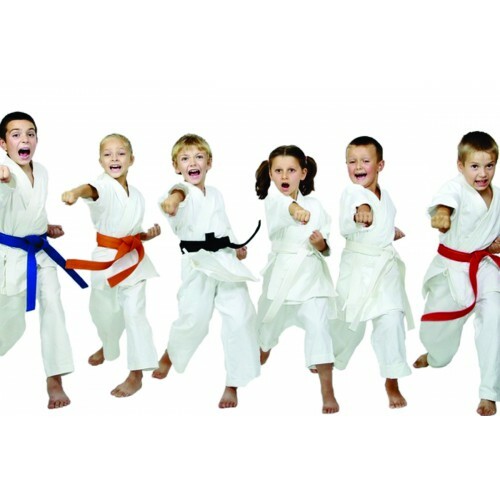 (3-4 yrs) The Little Ninjas Program at USA Karate Academy is specifically designed for children ages 3 & 4 with the developmental stage of this age child in mind. Plenty of gross motor skills are included to develop balance, coordination, & flexibility, as well as, FUN drills to learn blocks, strikes, kicks & punches! Students learn to wait their turn, be respectful to everyone in the class & try their best following directions & are rewarded with a very structured system of positive reinforcement earning stripes in each class. We emphasize development of self-confidence, self-discipline & focus which are life skills that will benefit students in their martial classes, at school, at home & with their friends. All students must purchase our "gi" uniform, which is $30. Uniforms will be available for purchase on the first day of class. *Member Discount for 2nd Kid Fit class not applicable Please contact Brittany Twine for additional details at (908) 753-2300 x 124.